Murder A Baby? No Problem. Put a Cat in a Trash Can? Outrage and a Fine! In case you need more evidence that society is totally ruined- you can murder your unborn baby and no one will say a word, but if you put a cat in a garbage can, oh my… duck… because the hailstorm of outrage is about to descend and you’ll even be threatened with death, and fined on top of it all. A British woman who sparked international outrage after CCTV film of her picking up a cat and dumping it in a rubbish bin was posted on the internet was fined 265 pounds ($420) for animal cruelty on Tuesday. Mary Bale, 45, was also banned from keeping animals for five years after admitting causing unnecessary suffering to the cat, a four-year-old tabby called Lola. Oh Mary… if only you had aborted a baby. You’d be better off… Because it’s better so far as our corrupt and damnable society is concerned to kill a baby than it is to not even really harm a cat. But when you do something meaningful with your life (like teaching biblical studies at a University or College or serve humanity in medicine or theology) they never even notice. June Cleaver dies and the accolades for her long ago work pour in like gravy on potatoes at the fat family reunion. Or if you played the dad on Happy Days, the whole world knows you’re dead within 15 minutes. Alas, our upside down society rears its ugly headed ‘priorities’ once more. 19 October 2010 – As part of the celebrations on the occasion of the 20th anniversary of its establishment, the Israel Antiquities Authority is launching a unique project – The Leon Levy Dead Sea Scrolls Digital Library – to document the entire collection of the Dead Sea Scrolls.A major lead gift from the Leon Levy Foundation, with additional major funding from the Arcadia Foundation and the support of Yad Hanadiv Foundation, will enable the Israel Antiquities Authority to use the most advanced and innovative technologies available to image the entire collection of 900 manuscripts comprising c. 30,000 Dead Sea Scrolls fragments in hi-resolution and multi spectra and make the digitized images freely available and accessible to anyone anywhere in the world on the internet. This is the first time that the collection of Scrolls will be photographed in its entirety since the 1950’s. The innovative imaging technology to be used in the project has been developed by MegaVision, a U.S. based company, and will be installed in the IAA’s laboratories in early 2011. The MegaVision system will enable the digital imaging of every Scroll fragment in various wavelengths in the highest resolution possible and allow long term monitoring for preservation purposes in a non-invasive and precise manner. The images will be equal in quality to the actual physical viewing of the Scrolls, thus eliminating the need for re-exposure of the Scrolls and allowing their preservation for future generations. The technology will also help rediscover writing and letters that have “vanished” over the years; with the help of infra-red light and wavelengths beyond, these writings will be brought “back to life”, facilitating new possibilities in Dead Sea Scrolls research. Uploading the images to the internet will be achieved with the assistance of Google-Israel and will be accompanied by meta-data including transcriptions, translations and bibliography. Professor Yossi Matias, Director of Google-Israel R&D center, said that “We are proud to take part in a project that will share the IAA’s National Treasures with the entire world. This project will enrich and preserve an important and meaningful part of world heritage by making it accessible to all on the internet. We shall continue with this historical effort to make all existing knowledge in archives and storages available to all”. The announcement this morning comes after 3 years of research in which the IAA investigated the best imaging technologies, information systems, and preservation methods and raised the necessary funds to begin the project. Pnina Shor is the project manger on behalf of the IAA and is assisted by academic institutions and the best professionals in their respective fields in Israel and abroad, including Prof. Steve Weiner from the Weitzman Institute, Prof. Zeev Aizenshtat from the Hebrew University of Jerusalem, Dr. Gregory Bearman, formerly a principal scientist at the jet Propulsion Laboratory, California Institute of Technology, Dianne van der Reyden, Director of the Library of Congress Preservation Directorate, Washington, USA, and Prof. Emilio Marengo and Marcello Manferdi from Eastern Piemont University, Italy. 1. Image of Deuteronomy Scroll with the Ten Commandments (bottom of 2nd column & 3rd-4th column. 6. A fragment from the Psalms Scroll being shot with a particular wavelength, both studio and fragment are light with the light projected by the wavelength, each wavelength has a different color. To be students at Yale, they aren’t too bright, are they? National leaders of a fraternity accused of directing Yale University pledges to chant obscenities against women as they marched through campus have scheduled a meeting with the Ivy League school’s chapter. Delta Kappa Epsilon International Fraternity says its director will visit New Haven this weekend to discuss the incident, which it condemned as “deeply offensive.” It also ordered the Yale chapter to stop pledge activities. Some students and the Yale Women’s Center board complained after pledges were videotaped last week, chanting about necrophilia and a specific sexual act. It seems you don’t have to be poor to be crude and rude. Depravity cares nothing for wealth. Or else she thinks West Virginia is part of Pennsylvania. In which case she still isn’t all that bright. It’s actually physically painful for me to listen to her. Palin’s endorsement of John Raese is surely welcome, except he is the GOP nominee for the Senate seat in West Virginia vacated by the late Sen. Robert Byrd (D) and currently held by Carte Goodwin. In fairness to Palin, questions have been raised about whether she actually writes her tweets and Facebook posts. Still, now might be a good time for civic-minded Pennsylvanians named Raese to get started on a write-in bid for Congress. If she doesn’t twitter then she needs to have her underlings stop twaddling in her name – or she needs to hire smarter workers. UPDATE: Palin has since tweeted again to include West Virginians. Appalling. But do recall, she can see not only Alaska from her house, but November…. [really, she thinks she can see November? How? It isn’t even here. Does she think she’s a prophet? James Spinti and I have consulted and decided that the winner of Professor Casey’s volume is Keith Whitt. Not because his answer was the longest or the wordiest but because he got to the point and made it. Congrats, Keith! Drop me a note and I’ll tell you how to claim your prize. Are Politicians Stupid? Well Duh! A Puerto Rican legislator was caught groping and kissing an ABC News student journalist on camera during an ABC investigation into corrupt and unsavory behavior by state legislators. During the investigation, ABC sent cameras to a party in Louisville sponsored by corporate lobbyists for a national convention of state legislators. They caught rowdy scenes of drinking and dancing — including footage of Jorge Navarro Suarez, a lawmaker from the Puerto Rican House of Representatives, kissing and groping an unnamed female graduate school journalist working for ABC. In the footage, the woman can be seen pushing Suarez away. Suarez seems to acknowledge the woman’s disinterest before moving in again. He must have gone to the Ben Roethlisberger School of Political Science (accredited!) where even the pervy are cheered on. [Speaking of pervy, how bout all those Steelers fans who think Benny’s just great! Now there’s some total depravity for ya- wink at the molester just because he can throw a football]. It’s not in my character to judge (though, to use a biblical image, I am a ‘fruit inspector’, you know, ‘by their fruits you will know them’) but it seems that if you’re as dependent on a piece of tech folly as this guy, you can’t really be all that bright. CNN is calling smartphones America’s “national obsession,” citing anecdotes from the lives of ordinary users who can’t seem to part with their gadgets. One such user is 28-year-old Doug Wilson, who owns an iPhone 4 and an iPod Touch. “During the day, he tends to carry the iPhone 4 in his hand,” CNN writes, explaining that he needs it to snap pictures, light up his path, and more. The CNN piece continues: Then there’s his wife, Ashlee, whom he accidentally impregnated one evening after forgetting to look at an iPod app that explains the details of the rhythm method. “That’s how we got pregnant,” he said, “because I lost my [iPod Touch].” While the couple from Russellville, Arkansas, are now thrilled about their expected baby girl, Doug Wilson said the slip-up was yet another reminder that his phone should be turned on, in his hand, ready to accept alerts — all the time. Hey Doug, put down your iPod and pick up a book. A little while back I mentioned the arrival of a new software package called Babel Flashcards, a nice little suite of vocabulary building tools for students of the Bible. Since then, there’s been a bit of a bibliobloggers discussion about the necessity of pastors and others learning the biblical languages. Providentially (? ), I’ve been using the flashcard software since it arrived and now am in a position to offer some observations which, I hope, will dovetail nicely with the question of the acquisition of biblical language proficiency. This bundle includes three high-quality modules at a significant discount: Biblical Greek (Mounce), Biblical Hebrew (CBHAG), and Biblical Aramaic (CBHAG). It seemed to me that it wouldn’t be prudent to describe just one deck of flashcards when readers may be interested in all three biblical languages. Individual language decks are available. So I made that selection and went through the download process. 1- I received an email confirmation along with a download link and product key. 2- I downloaded the package (it comes in a zip format, but it need not be unzipped). 3- I have to confess that once having downloaded the package I was a bit confused when it came to the actual installation. Usually one unzips zipped files but since the directions suggested that such wasn’t necessary, I was at a bit of a loss as to what to do next. Then I noticed that a desktop icon for the program had also been added to my, well, desktop, so I clicked on it and the program opened. 4- At that point a java update initiated. Apparently this is part of the regular loading routine. Fair enough, but it does slow down the actual utilization of the program. 5- Once the Babel program opened it was necessary to ‘add’ the ‘decks’ which I had received. Using the product key that came in the download email I copied and pasted it into the appropriate box. Nothing happened. After trying several times I finally realized that when I copied the key I had copied a blank space at the end. This blank space caused the key to be inaccurate, so I deleted the blank and the installation proceeded without hindrance. 6- Once the products were installed, it was quite easy to navigate the decks. And that brings me to the utter usefulness of this product and the fact that Pastors and students will certainly benefit tremendously from using it. There’s just no substitute for vocabulary memorization when it comes to learning the biblical languages. And there’s just no substitute for keeping one’s vocabulary skills fresh by consulting flashcards of the sort offered by this software. The package is well worth the price. The importance of utilizing such tools cannot be overstated. And the ease with which this package can be utilized makes it extremely useful. The installation instructions need to be simplified (because there are people, like me, who are lucky to know how to turn a computer on, much less install zipped software). But that quibble aside, I commend this material to those who wish to acquire a working knowledge of the biblical languages. By using such user friendly tools, pastors, no matter how busy they are, can keep their language skills fresh. And students can benefit as well by achieving a deeper familiarity with the words found in the Bible- so long as they remember that basic meanings and dictionary entries of biblical words are just the beginning point of understanding and that context isn’t just the only thing, it’s everything when it comes to exegesis. The Finnish Evangelical-Lutheran Church has seen an unprecedented exodus of members. The outflow was sparked by a televised debate programme on Network 2 of the Finnish Broadcasting Company (YLE) on Tuesday evening last week. The flood was seen as a reaction to comments by some church representatives on the programme, which dealt with issues such as the right of homosexuals to adopt children and the establishment of gender-neutral marriage. By Friday evening more than 7,400 Finns had cancelled their membership in Finland’s largest denomination through a website set up for the purpose. The trend continued during the weekend, and by Sunday evening the figure had reached 18,000. It is estimated that Lutheran Parishes are set to lose annual church tax revenues worth about EUR 2 million from the exodus. Reasons given by those cutting their ties with the church included accusations that the church is intolerant, conservative, and has a negative attitude toward gays. Perhaps they will join the Anglican (dis)communion… They’ll find a happy home there- or in the Episcopal Church. I can assure you of one thing- they don’t want to know what Luther himself thought of the Florentine Brides. If they did, they never would have become Lutheran in the first place. 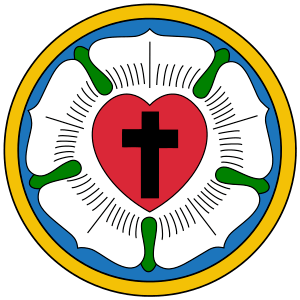 And were Luther alive, he wouldn’t allow them to associate with the Church at all. Shortly after eight o’clock one spring morning in 2007, an earthquake struck the parish church of St Peter in Folkestone, bringing down the gable-end of the south transept. Three years later, the 19th-century church, which opened as a chapel for local fishermen, has caused tremors of its own, becoming the first parish in England to declare its intention to defect to Rome. Within hours of the news emerging last Friday, the Bishop of Fulham announced that he, too, will take up the Pope’s offer to join a new structure within the Roman Catholic Church for disaffected Anglicans. Decent Anglicans can only take so much of the Church’s abandonment of Scripture, it seems. Some are now talking openly of an “exodus” from the Anglican Communion next year, with thousands following Folkestone’s lead. The Archbishop of Canterbury, from whose back yard the revolt has sprung, can be in little doubt about the seriousness of the threat. Rowan doesn’t seem to have the wherewithal to call the entire Church to its foundation and to usher those who have abandoned the foundation out the door. Or maybe he just doesn’t want to. Whatever the cause, the beginning of the end for the Anglican Communion is at hand. This NPR report shows pretty clearly that drug companies are nothing more than legalized drug pushers, and their street dealers are inept doctors. Drug companies say they hire the most-respected doctors in their fields for the critical task of teaching about the benefits and risks of their drugs. But an investigation by ProPublica has uncovered hundreds of doctors receiving company payments who had been accused of professional misconduct, were disciplined by state boards or lacked credentials as researchers or specialists. Drug pushers don’t care who their street dealers are, they just care about pushing product. Fortunately for Lazarus, this sign is found in Britain (via Dot King on FB). I think we can all be fairly sure that with the austerity cuts in Britain these days, no one will be raising anything. And not just theologically (it has always been bankrupt theologically, that’s why so many people went there in the past). Now it’s bankrupt fiscally as well. Crystal Cathedral, the megachurch birthplace of the televangelist show “Hour of Power,” has filed for bankruptcy in Southern California after struggling to emerge from debt that exceeds $43 million. In addition to a $36 million mortgage, the Orange County-based church owes $7.5 million to several hundred vendors for services ranging from advertising to the use of live animals in Easter and Christmas services. Perhaps if they had focused on ministry rather than showy entertainment and perhaps if they had expanded the Biblical way- i.e., by starting other independent congregations instead of constantly feeding themselves and their own egos, they could have done something besides collapse in on themselves because of their own weight. What kind of responsible Church loads itself with that kind of debt? That’s right, none. But it isn’t really a church anyway- its a temple to mans self indulgence and self aggrandizement. It is, in short, nothing but a modern Tower of Babel (as are, I hasten to add, all mega churches). 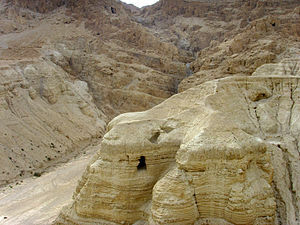 The Dead Sea scrolls will soon be available to anyone with an internet connection. Search engine Google and the Israel Antiquities Authority have revealed plans for an online archive of the scrolls, which number around 900. The images will appear in high definition, with a special camera costing more than £157,000 used to photograph the scrolls. The organisers hope that the website will be live by the beginning of 2011. Users will also be challenged by “the ultimate puzzle game”; a chance to join up the thousands of pieces of scroll into one virtual document.